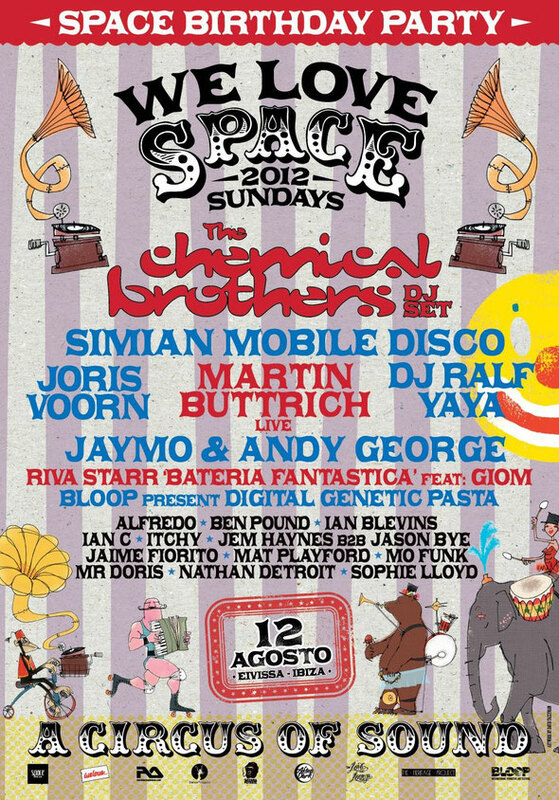 This Sunday sees The Chemical Brothers return to Ibiza for an exclusive appearance at We Love... in 2012 for Space´s 23rd anniversary celebrations, performing a rare DJ set in the Discoteca. 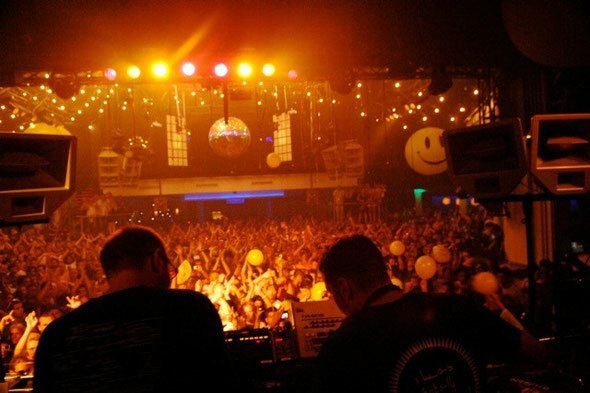 The veteran UK duo have previously featured for We Love... in 2008 and 2009, after originally making their Space debut way back in the mid-90s. Also contributing to the festivities will be Simian Mobile Disco and The Terrace will be hosted by Savana Potente, with DJ Ralf, Joris Voorn and Desolat’s Martin Buttrich who will be playing live. Added support comes from Turin’s YaYa. Since their classic debut ‘Exit Planet Dust’, the pair have evolved into prolific hit makers and their performance formula also makes for a phenomenal, immersive experience. Thanks in part to a philosophy based on always doing something different, the duo now find themselves cast in the role of some of the last men standing, with few of their contemporaries from the 1990s still in quite such rude health, both creatively and commercially. Having headlined Glastonbury, the holy grail of festivals numerous times, had a number one single with a certain Noel Gallagher, alongside a series of underground white labels in the form of Electronic Battle Weapons, the pair have also established themselves as a hugely respected and widely received live attraction in the 21st century. More recently, together with director Adam Smith, they produced the live concert film “Don´t Think”, which was filmed on location at Japan´s Fuji Rock Festival featuring the entirety of The Chemical Brother´s headlining set in Dolby 7:1 surround sound. 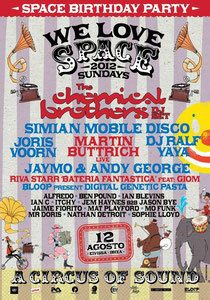 Over the years, Sundays at Space have become the ultimate shrine to electronic dance music, offering the ultimate in line-ups every time. It’s no surprise that it has earned itself the title of best club in the world from DJ Mag for the last two years. Sunday 12th August will see Ibiza’s biggest night taking place in Ibiza’s biggest club, yet again bringing the world’s biggest artists to the island.